Located in the village of Gimonde, one of the entrance doors in the Natural Park of Montesinho, the A.Montesinho Group, is located in the region of Terra Fria Transmontana. It is one of the most privileged regions of Portugal in terms of protected areas, where nature and gastronomy stands out. 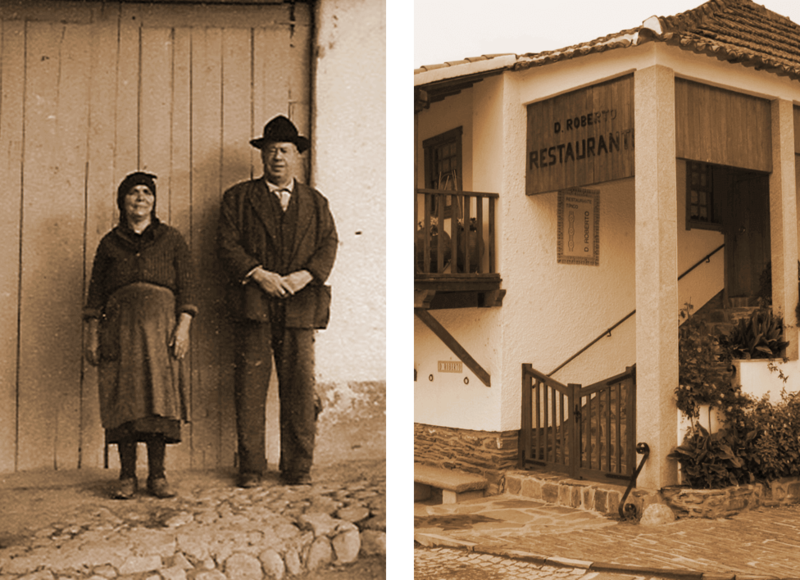 The activity of the Group begins with the Taberna do Roberto, with a gastronomic offer of quality products and tradition of the region that dates back to 1935, by the hands of Dª Beatriz and Uncle Roberto. Quinta das Covas, the current reference unit in the region, is the second valence of the Group that associates Agroturismo to the accomplishment of events. The various multipurpose rooms, provide a return to the rusticity of this region allied to a natural environment. The Quinta has ample leisure areas where it is possible to carry out animation activities such as: Football, Volleyball, Basketball, Hiking, Mountain Bike, Off-road, Fishing, Canoeing, Horse Riding, Hunting and Shooting Range . Complete this unit Regional Cellar, Typical Restaurant, Bar of Hunters and also two houses of Agrotourism – Casa do Forno and Casa do Guieiro. In all spaces there was care in creating a connection between history, tradition and modernity with singular notes. In the lodgings, the group offers 6 houses in a total of 22 rooms, equipped with Air Conditioning, Satellite TV, private WC and Internet. Since 2017, there are also 2 apartments in Local Accommodation located in the historic center of Bragança. The commitment of the A. Montesinho group goes through the quality, innovation, diversity of offer of services and products with the primary goal of customer satisfaction. We are certified since 2005 by the norm NP EN ISO 9001: 2008 (Quality Management).